In Number Sense Routines, Jessica shows that number sense can be taught to all students. 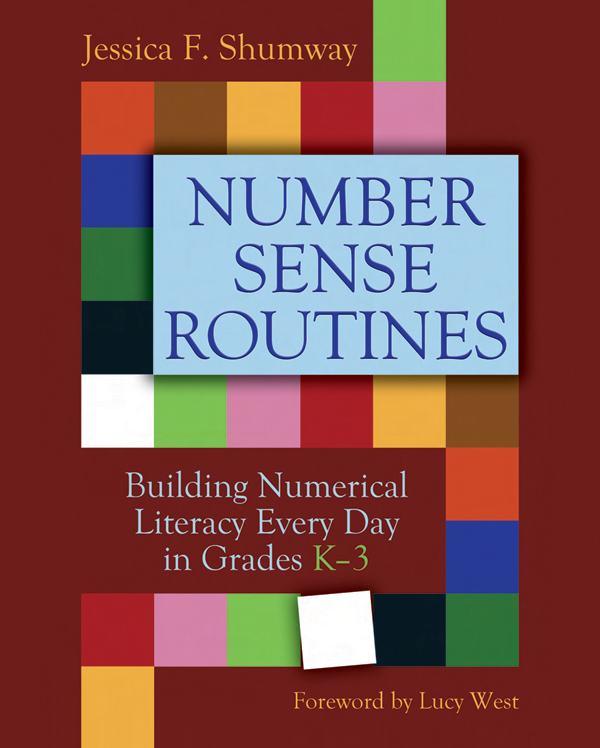 Dozens of classroom examples—including conversations among students engaging in number sense routines—illustrate how the routines work, how children's number sense develops, and how to implement responsive routines. Additionally, teachers will gain a deeper understanding of the underlying math—the big ideas, skills, and strategies children learn as they develop numerical literacy. 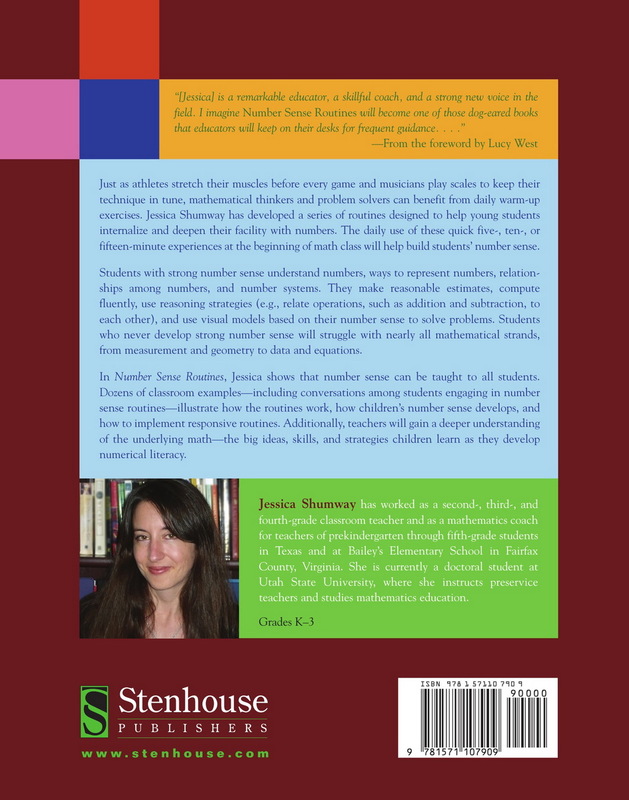 Jessica Shumway has worked as a second-, third-, and fourth-grade classroom teacher and as a mathematics coach for teachers of Pre-K through fifth grade in Texas and Virginia. She is currently an assistant professor of mathematics education at Utah State University. Chapter 1: Number Sense: What Does It Mean?